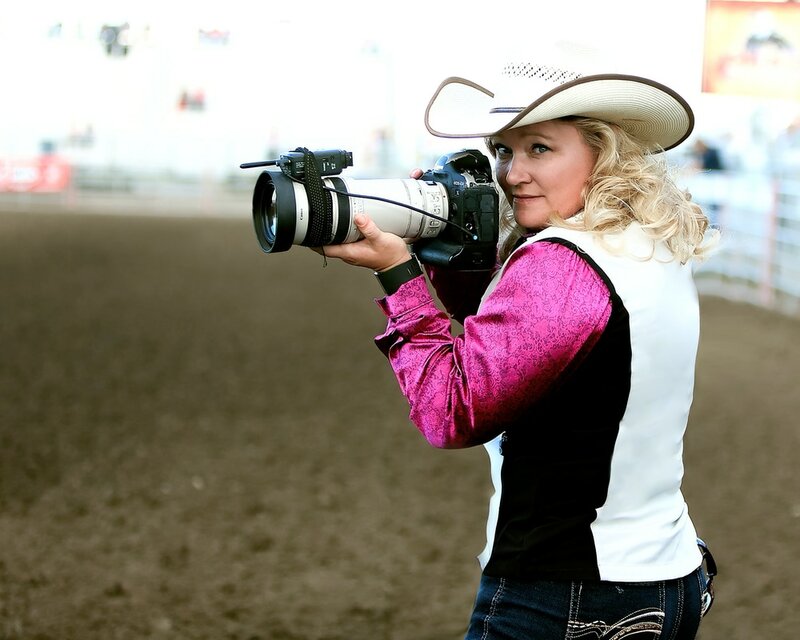 Jackie Jensen was born and raised on her family’s ranch near Winnett, Montana. One of her greatest joys is being able to spend time branding calves, sorting and shipping. Jackie has spent 35 years in the rodeo arena, first as a little girl clearing calves and steers, later competing in high school, college, and the amateur rodeo. “Middle of Montana Cowgirl,” Jackie Jensen has always had an adventuresome spirit. Jackie traveled with ‘Doctors Without Borders’ on a medical mission in Africa. She spent months back packing in Europe one summer, seeing for herself some of the Western world’s greatest art. Jensen has driven a team of mules on a wagon train, killed elk in the Missouri Breaks, ridden a Harley in Sturgis and photographed the National Rodeo Finals in Las Vegas four times. To contact Jackie Jensen, please email, winnettcowgirl@hotmail.com, or call 406-320-0509.